Our flexible document archiving service is perfect for businesses looking for a safe and secure place to store their archived paperwork. We offer document archiving and retrieval solutions, perfect for all types of businesses from accounts paperwork to historic customer files. Our lockable containers are offered at full or half height in addition to walk in containers, each holding 112 standard archive cartons. 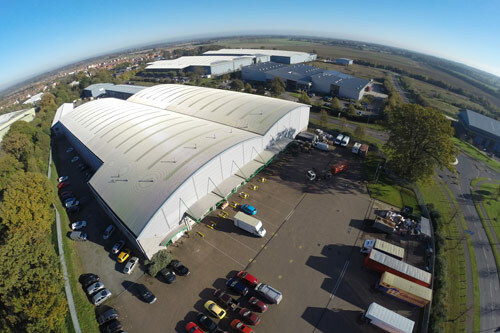 Access to your archives is free at our Suffolk premises, we even offer a retrieval service where we can have the right carton waiting for you on your arrival, or we can deliver it to your office, the choice is yours. Will you be able to offer document retrieval whilst my paperwork is being stored? Yes, providing your documents and files are indexed. Do you offer an emergency document scanning service? Will my documents be confidentially kept? Yes, our service is fully confidential and secure. How will my documents be stored? Our carefully designed containers incorporate racking to hold up to 112 archive boxes. The containers have walk in access which makes locating your files, or items, quick and easy. We do offer a collection and delivery service within our locality. Can we provide archive storage boxes? 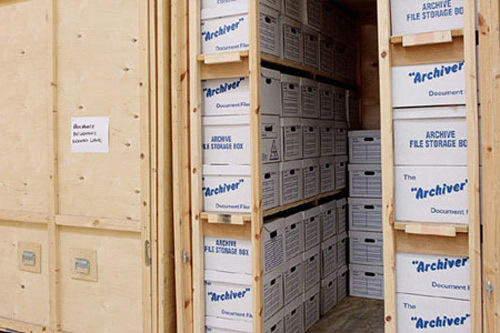 Yes, it is no problem to supply the required amount of archiving boxes for your needs. These can be purchased from us. We charge per archive container per week. No, our service is completely flexible to suit your needs. Do you offer document shredding? Yes, we offer a confidential shredding service.